When you choose Environmental Door, you enjoy the peace of mind of dealing with a company that is operated since 1970. Our team of experts will give you the best service possible and will help you to make a decision based upon what you need, what you like, and what you have to spend. Call 616-453-0164 today to get your free quote. Holland is a small, growing town in West Michigan, and features a friendly and welcoming community. With Lake Michigan and Lake Macatawa so close to home, there are plenty of year-round activities for families. 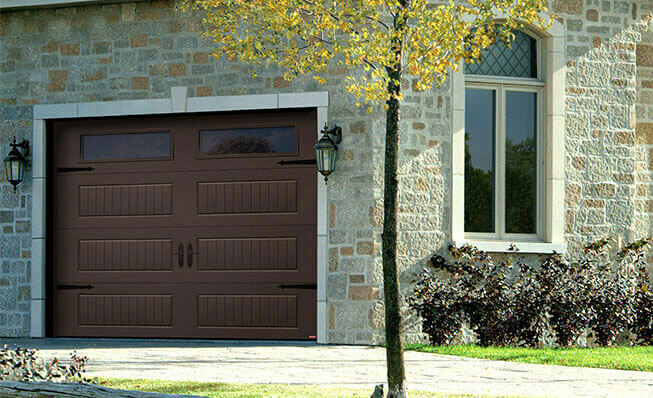 Contact Environmental Door if you are tired of your garage door or you want to add a little freshness to your house. As you can see in our image gallery, many choices are available, and each of them can be customized to match the style of your neighborhood, as well as your personal taste. You will be the talk of the neighborhood with your beautiful new garage door in Holland! Need a garage door repair in Holland, MI? Have you noticed your garage door creaking and groaning? The repair technicians at Environmental Door will exceed your service expectations every single time. We will be happy to handle any problem that your garage door is giving you. Call us at 616-453-0164 or fill out our online form to schedule an appointment for a garage door service in Holland, MI. Over time, your garage door will experience the distance of travelling up and down Mt. Everest over FIVE times! In light of this information, you surely better understand why sometimes you need to replace parts of your garage door. Call our always friendly and knowledgeable technicians for more information. Garage doors can take up the bulk of your home's facade and be a big part of the curb appeal. It does it all when it comes to the appearance of your home. That's especially true of suburban homes built in the last several decades. We recommend The Garaga Standard+ Series to match the architecture of your house. With many choices of colors and door models and a wide range of decorative windows, you would make a decision you will never regret! Think about Environmental Door too for your garage door installation in Holland. Here at Environmental Door, one of our priorities is your safety and security. We understand that it can be easy to forget to close your garage door from time to time. That is why we offer LiftMaster garage door openers. It will save you from those times! With LiftMaster, you can control your garage door with the click of a button on your computer, smartphone, or digital tablet. Downtown, Historic, Holland Heights, Hope, Maplewood, Rosa Parks, Washington Square and Westside.